Wolston Mill, a watermill that was built in the Medieval period. It continued to be used until the end of the Imperial period. The mill buildings were later demolished. It was situated 600m south west of St. Margaret's Church, Wolston. The site of a windmill dating to the Imperial period. It was situated on Lammas Hill. A moat, a wide ditch usually surrounding a building. It dates to the Medieval period, and was possibly associated with Wolston Priory. It is still visible as earthwork, and is situated 500m northeast of St Margaret' Church, Wolston. The site of Wolston Priory which was founded during the Medieval period. 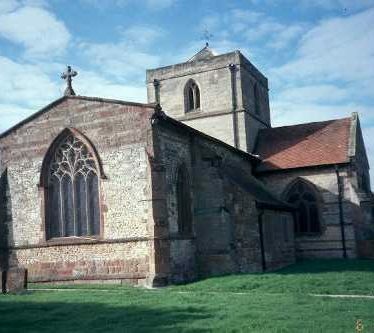 It is situated 600m north east of St Margaret's Church, Wolston. 1 An Imperial Follis of c324-5 was found with a metal detector at the above reference. Details given. Findspot - a Roman coin was found 250m north of London Road, in the parish of Wolston. The Parish Church of St Margaret which was originally built during the Medieval period. The church was later restored during the Imperial period. 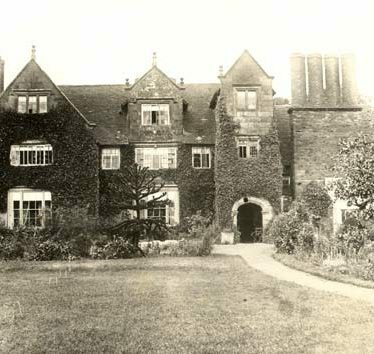 It is situated 200m south east of Brandon Castle at Wolston. A manor house which was built during the Post Medieval period is located in Main Street, Wolston. The site of a shrunken village of Post Medieval date at Wolston. The remains are visible as earthworks. The site is located off Main Street. 1 A small Victorian mortuary chapel in a cemetery. Of red brick, about 7m long, with an apsidal E end. Steeply-pitched tiled roof. Now used as a gardener’s store. A mortuary chapel which was built during the Imperial period. It is situated in Wolston Cemetery and is now in use as a gardener's shed. 1 Collection of Neolithic flint comprising scrapers, blades, core, flakes and laurel leaf flint found at this location. Illustrations in FI File. 2 Dating confirmed as Neolithic. 1 Possible ring ditch. 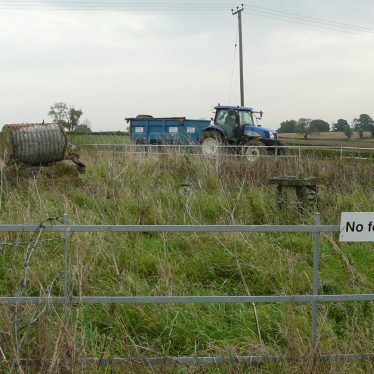 2 Also see MWA3417 which, describes both ring ditches in this field. The site of a possible ring ditch identified from an aerial photograph. Its date is unknown. The possible extent of the medieval settlement at Wolston based on the Ordnance Survey map of 1887, and on aerial photographs. 1 The site of a celluloid factory marked on the OS map of 1906, 27NE 2nd edition. 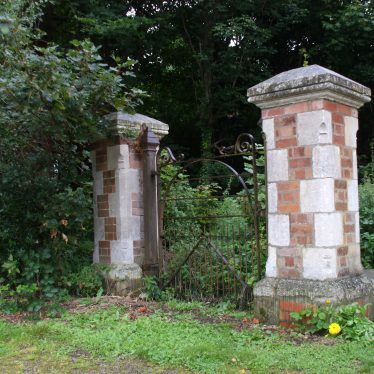 2 The Warwickshire Industrial Society drew attention to the site during a telephone call. The site of a celluloid factory marked on the Ordnance Survey map of 1906. It dates from the Imperial period and is situated in the Business Park. A Royal Observer Corps Underground Monitoring Post at Wolston. Monitoring Posts were to be used in the modern period to report nuclear bursts and to monitor fall-out. The post is located at the intersection of the Fosse and Dyer's Lane. A nonconformist Baptist Chapel built in the Imperial period, and situated on Main Street, Wolston. 1 A Baptist burial ground, near to the centre of the village; it contains fifteen headstones, and the last recorded burial is of 1925. A Baptist cemetery dating containing burials dating to the Imperial and modern periods. The cemetery lies on the west side of Dyer's Lane, Wolston. 1 Pound marked in 1905. Site of a pound which would have been used for penning animals in the Imperial period. It is marked on the Ordnance Survey map of 1905. The pound was located on School Street, Wolston. 1 Smithy marked. 2 This is no longer a smithy, but seems to house a small light-engineering business. The site of a forge, where wrought iron was made during the Imperial period. It is marked on the Ordnance Survey map of 1905. 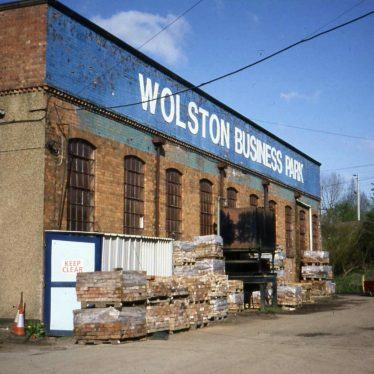 The forge was located on School Street, Wolston.